Karen is a multi-talented crafter. An amazing seamstress and knitter, she came in recently wearing two of our very favorite patterns--the Schoolhouse Tunic by Sew Liberated and the Daybreak Shawl by Stephen West. We, of course, love them both and thinks she looks adorable sporting them together! 1) Tell us about your crafty self. 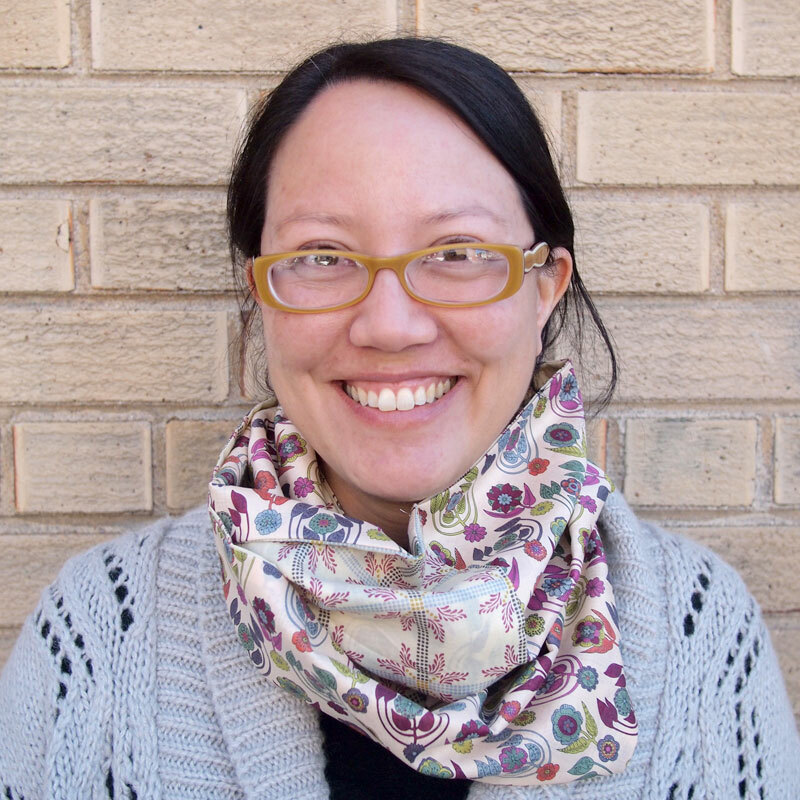 I'm a librarian for CU-Denver. I started knitting for stress releif during grad school and fell in love. 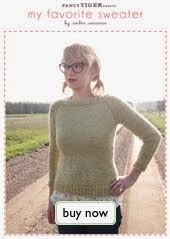 My favorite thing about knitting is giving gifts and seeing people enjoy them. I am learning to sew. 2) Tell us about your outfit. 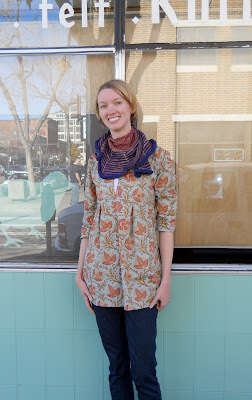 This is the Schoolhouse Tunic; I loved the big print fabric. They just seemed to fit together. You can also see my first Daybreak shawl, which turned out a little funky but is so soft. 3) How did you learn your skills? My grandmother taught me knitting and crocheting skills and my mom taught me some sewing skills when I was a teenager. They've both passed away, but I feel they'd both be happy that I picked up their crafts. It makes me feel close to them. Gee's Bend quilt kits are here! These two kits are based on the original quilts, "Medallian Variation" by Louisiana Pettway Bendolph and "Work Clothes Quilt" by Loretta Pettway Bennett. 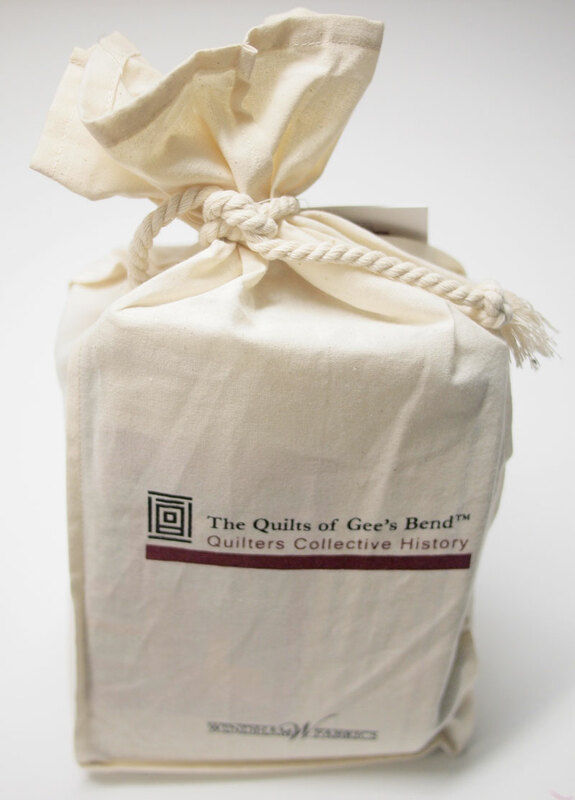 Gee's Bend, Alabama is home to an inspiring group of women with a quilting tradition that goes back to the mid-1800s. 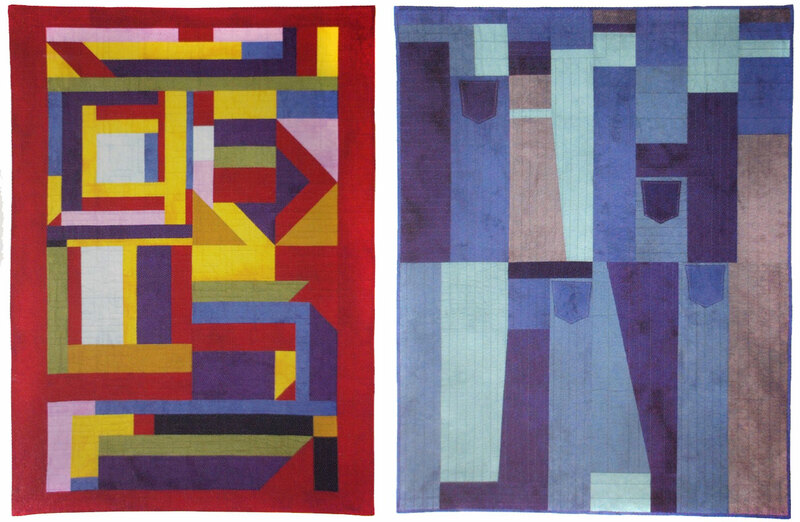 The quiltmakers are renowned for their modern aesthetic, individuality and creativity, and they still continue the quilting tradition today. 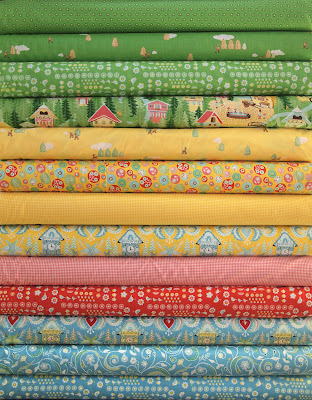 A portion of the proceeds of these kits goes to the Gee's Bend Quilter's Collective in Alabama. 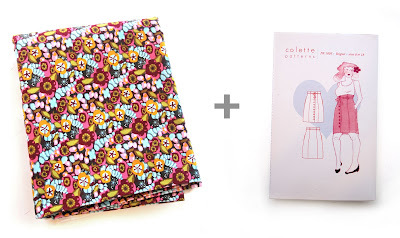 The kits include instructions and fabric for your quilt top and binding. 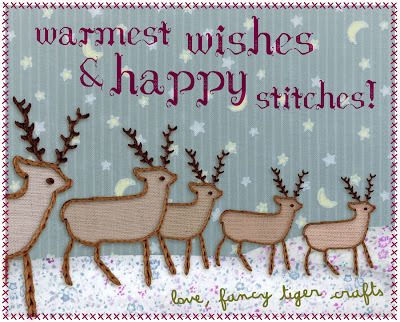 Warm wishes to you and your darling dears from all of us at Fancy Tiger! 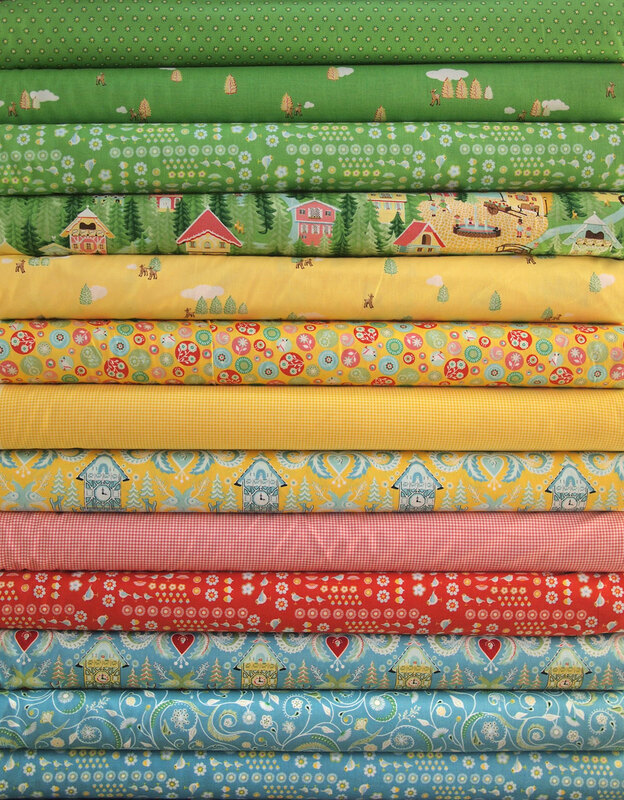 Can you handle the little German villages, cuckoo clocks, deer and mini gingham? It's too darling! Can you even believe how awesome Brian is with his little monocled, mustachioed octopus friend? Brian has been a friend for years and we've loved watched his crafting skills get better and better. We can't wait to see what fashionably outfitted creatures he creates next. 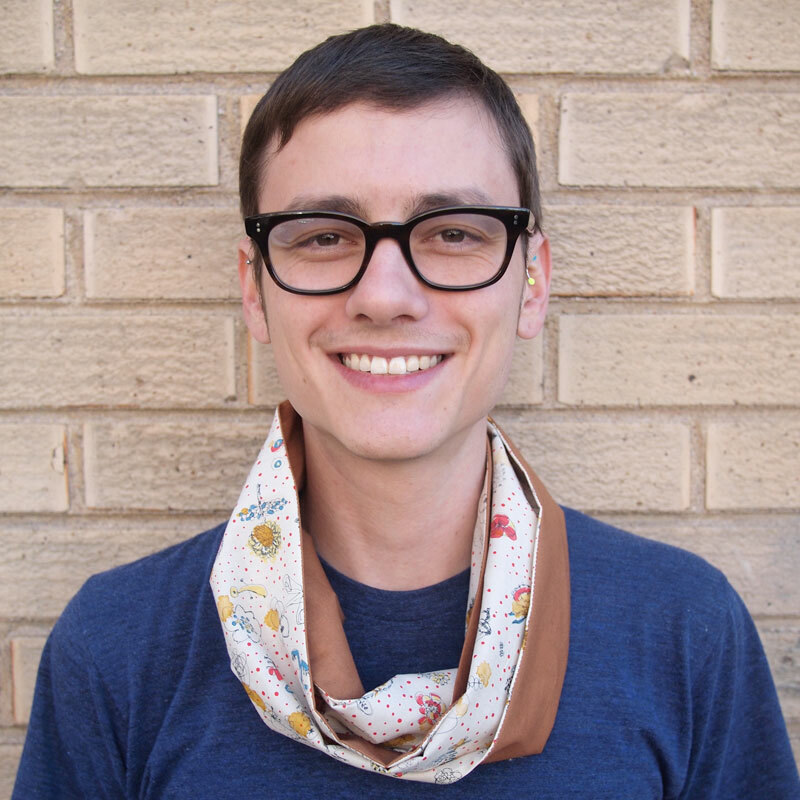 We hope that he writes us a book of patterns someday! I've always loved plush toys and started making them myself a few years ago. My first original designs were monster and zombie head pillows. I decided I like making crocheted amigurumi better, which is what I'm focusing on now. I enjoy coming up with sketches of new characters and watching them come to life as I develop the patterns. 2) Tell us about your octopus friend. This is Reginald Octavius Scuttleby. He is my first original amigurumi design. 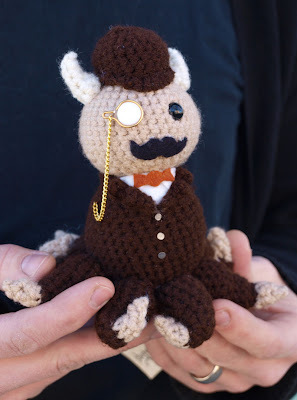 The first few I made didn't have a suit and the monocle was originally crocheted. I now use a flat round bead, jewelry wire and a chain to make it look nicer. The other materials are yarn, felt, a safety eye, polyfill stuffing and small nails for the jacket buttons. 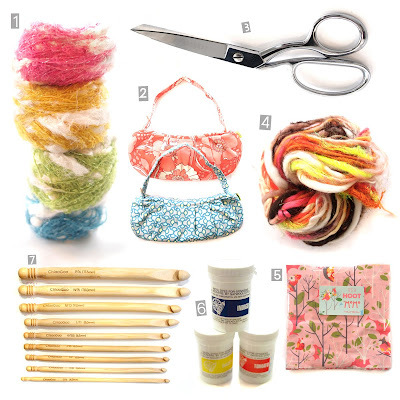 3) How did you learn your crochet skills? My cousin showed me how to crochet a scarf years ago but I forgot how and had to re-learn on my own. After making a few hats I got the hang of working in rounds and was able to try my hand at amigurumi. I picked up pretty much everything I know from books and online tutorials. I like bats, owls and octopuses...octopi...octopodes...whatever. You may have noticed the folks of Fancy Tiger Crafts sporting some hot möbius scarves in our last few posts. As a holiday gift to our fabulous employees, Jaime and I whipped up these super-soft and silky accessories in Liberty of London lawns and Anna Maria Horner voiles. 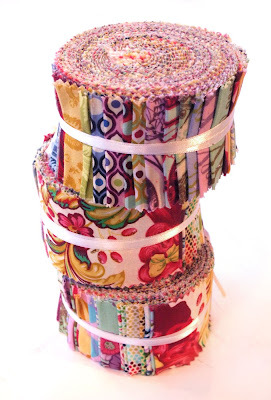 Trim the edges of your two fabrics straight, making sure they are the same size. Put the two fabrics right sides together and sew down both long sides, making a tube. 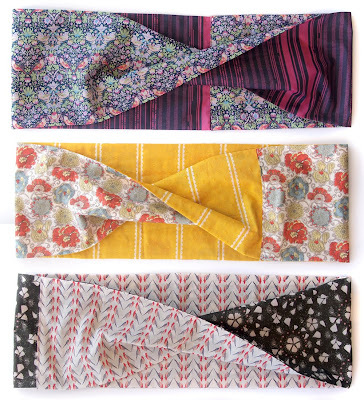 Press seams to one side and turn your scarf right side out, then press flat. 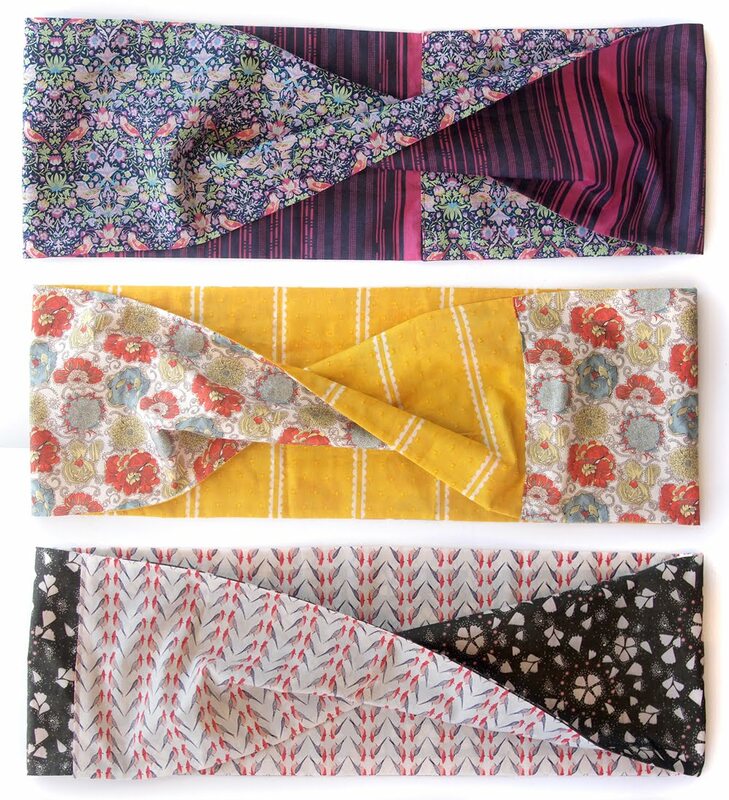 Turn raw edges under 1/2" on one open end of scarf and press. The raw edges should be inside of the opening and the folded edge should be pressed so the front and back line up nicely. Bring the other edge of the scarf around, twisting it a half turn so the opposite prints are next to each other, and insert it into the turned under opening. Pin and topstitch the ends together. Sweet, it's done! 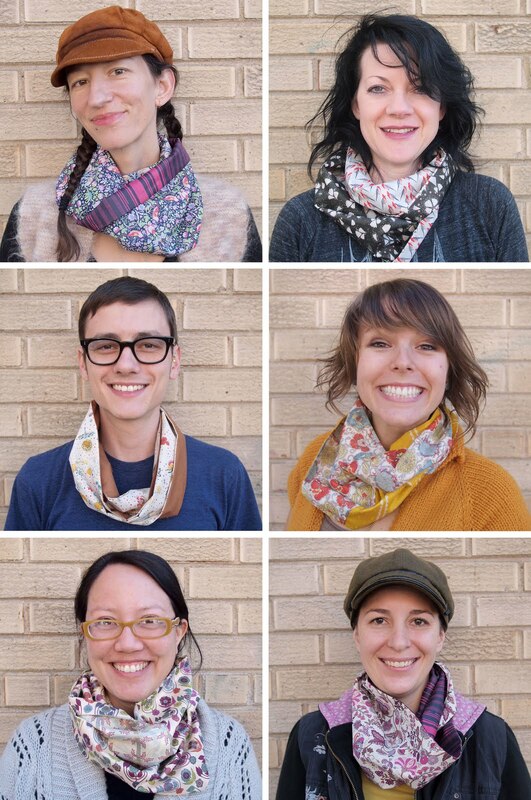 And look how happy these lovely folks look in their scarves. 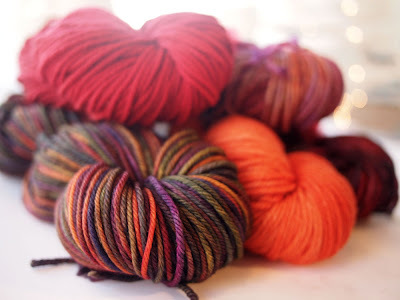 Welcome to part four of our staff picks for holiday gift giving. Today Betsy and I are sharing our favorite gift ideas. 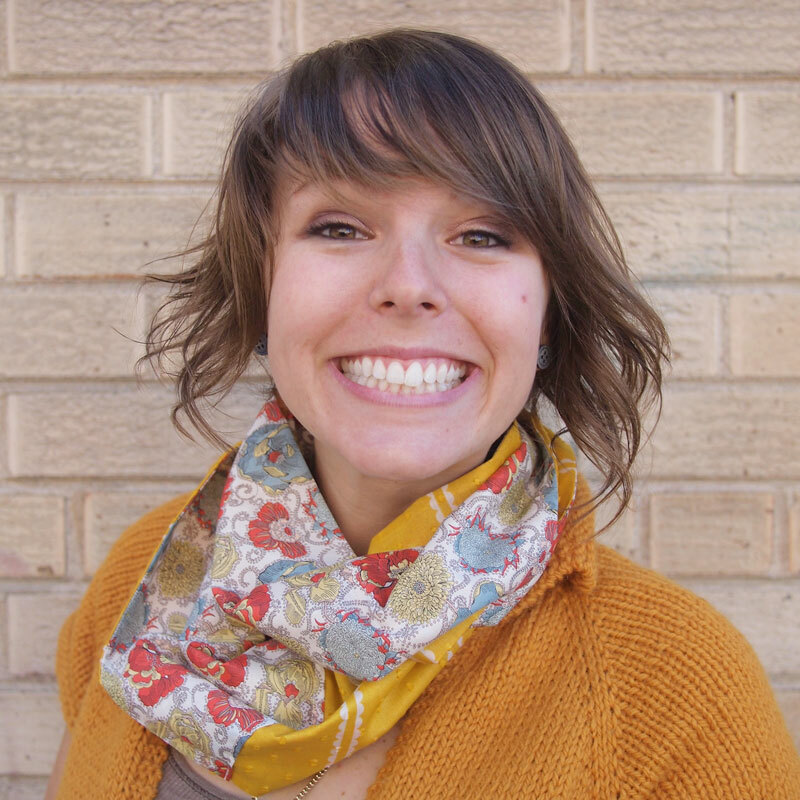 Hi, I'm Betsy, one of the new employees at Fancy Tiger. I'm a knitter, sewer and just finished my first Tunisian Crochet Cowl! I love working here and can't wait to pick up some more mad crafting skills. 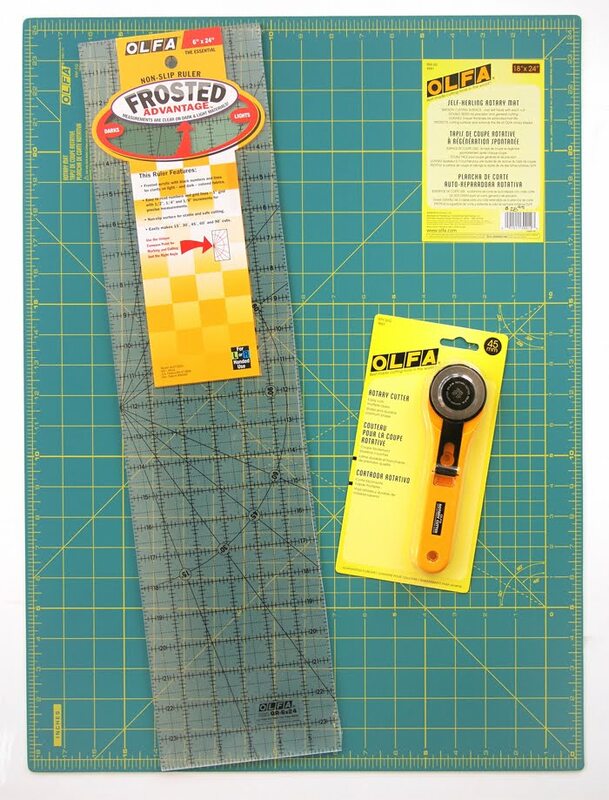 Good sharp scissors are nice but if you are sewing a lot, especially quilting, the Olfa Rotary Cutter with Mat and Ruler are the best upgrade that you could get. With these on your sewing table cutting is fast, accurate and no longer the dreary part of starting a project. Cashmere! 100%! Soft and glamorous and Cashmere! 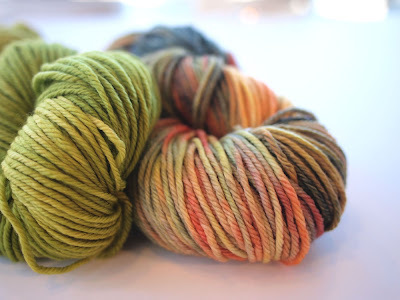 This beautiful yarn is one that any knitter would love to have in their stash. 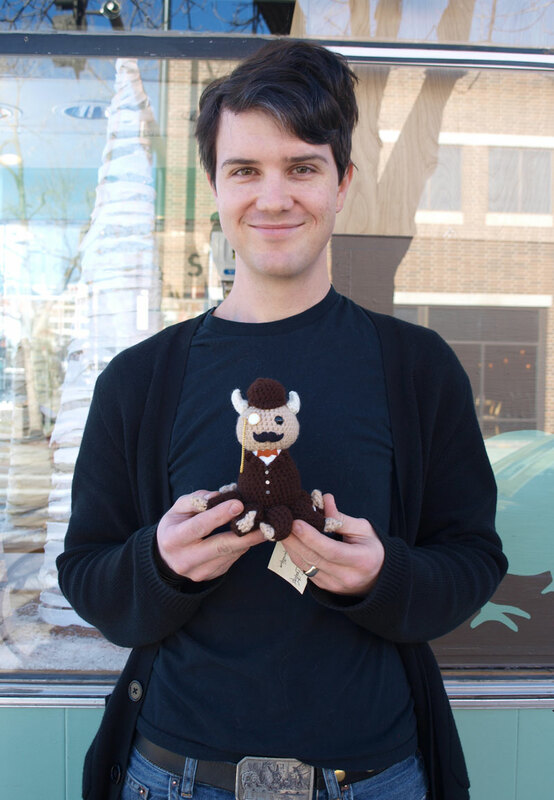 Because who wouldn't just love being able to say "Oh, Thank you, I knitted it myself... It's cashmere!" Originally published in 1918, The Mary Frances Knitting and Crochet Book is the last of a whimsical series of books chronicling the adventures of Mary Frances with little fairies who teach various skills that would make any little girl "feel of very much account". In this book the knitting people teach Mary Frances how to knit and crochet clothes for her dolls and favorite people. 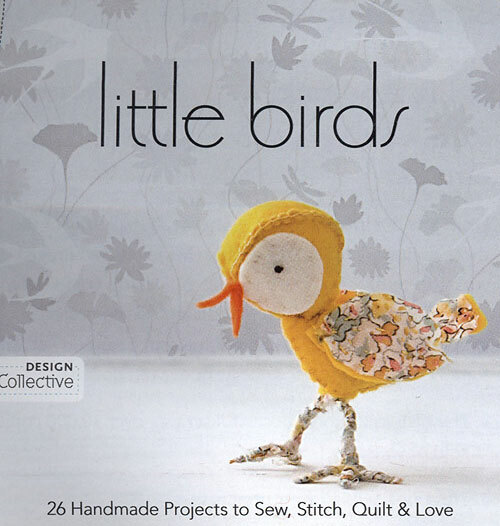 It is simply a precious book, with functional instructions, adorable illustrations and an heirloom type feel. Great for any girl big or small. Denyse Schmidt is a huge inspiration to me when it comes to quilting. I love her Stacking the Odds quilt pattern. 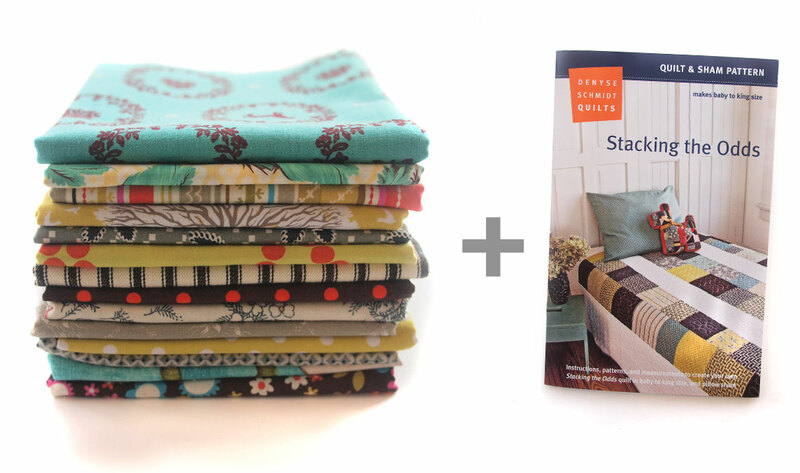 This quilt is great because it's simple enough for a novice quilter and it can showcase almost any fabrics without being too fussy. Add 14 quarter yards of fun print fabrics and your favorite quilter is ready to get started on honing their patchwork skills. Stephen West's new pattern book is full of amazing patterns for hats, scarves and shawls, but there is one in particular that I am obsessed with. 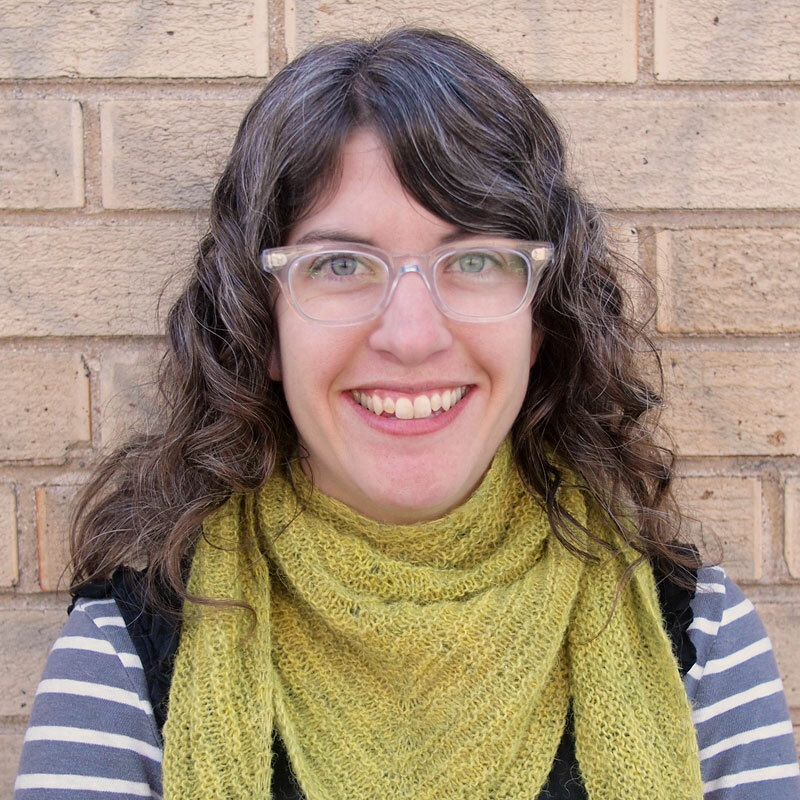 The Chadwick is a modern, asymmetrical shawl that is long and linear--a sort of scarf/shawl. 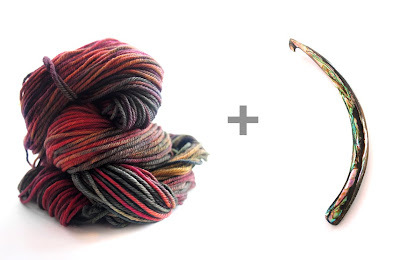 A skein each of Malabrigo Sock yarn in two contrasting colors and your favorite knitter could make a beautiful version of the Chadwick! Juxtapose Handmade is an amazing photo book full of craft-meets-art madness. 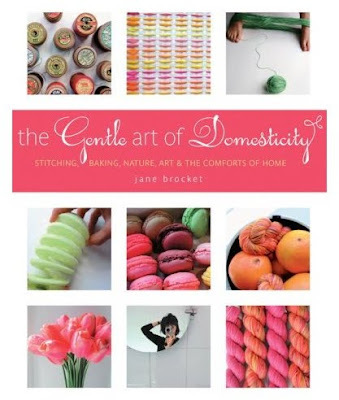 I like weird things and this book is full of weird things--like crocheted TV dinners, insanely intricate paper-cut fantasy worlds and illustrations on patchwork quilt "canvases". Topping off the weirdness, there is a water buffalo plushie giving birth to a baby water buffalo plushie. Cool. Hope that helps with your holiday shopping! We have tons more ideas where that came from, so stop by and see us at the shop if you need help finding the perfect gift for someone crafty. Happy holidays and happy crafting! Here is part three of our staff holiday gift picks. Cat and Emily are here to share some of their favorite things with you. Feel free to forward this along to the person who doesn't know what to get you this year! Hi! My name is Cat. 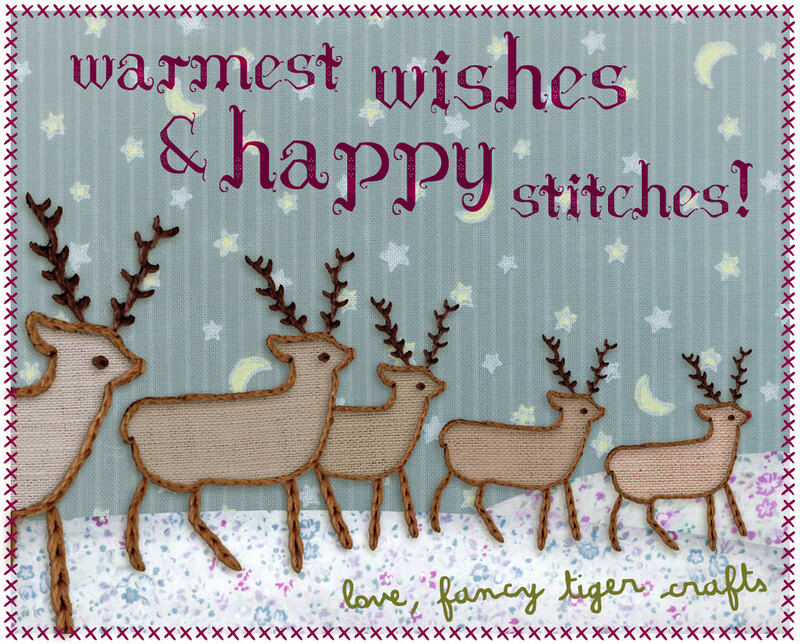 I work and teach Crochet 101, Tunisian Crochet and Pjoning at Fancy Tiger Crafts or the Fancy Tiger Land of Wonderment and Joy, as I like to refer to it. I am a crochet fiend and I recently learned to sew so I have also been making some clothing items and a few quilts. 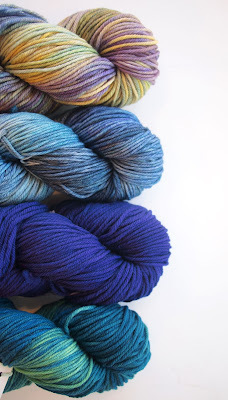 I am completely obsessed with the Malabrigo Rios yarn that we just began carrying a couple of weeks ago. I bought it on a whim right before teaching a crochet class and by the end of the class I was madly in love! 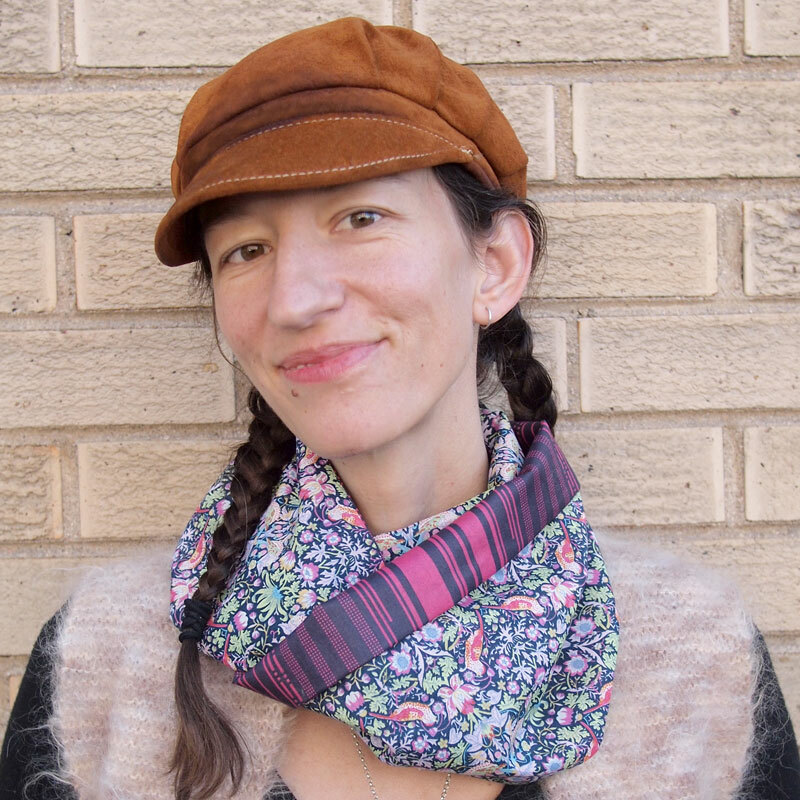 I went home and made a hat and matching neck warmer that very night! It's soft and spongy and wonderful to work with. The colorways are so beautiful that it's almost impossible to chose one--although, my current favorite is "Piedras" (pictured above). The abalone hook is the tool of my other current obsession, Pjoning or "Bosnian" Crochet. This hook makes stitching fast and easy. It feels so nice in your hand that you won't want to put it down, although it's beauty may distract you from your craft! This hook with this yarn is a match made in heaven! 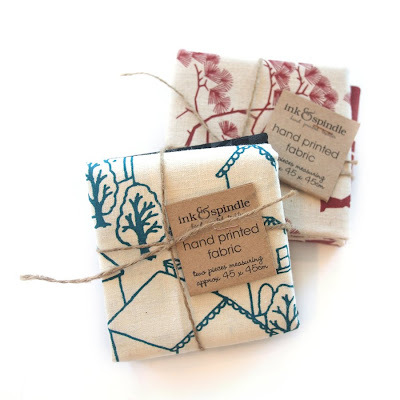 These cute little bundles of hand-printed fabric goodness are a perfect stocking stuffer for anyone who sews and even for those who don't, but appreciate art of any kind. The fabric and printing process are produced in ethical and sustainable processes by two amazing Australian women. 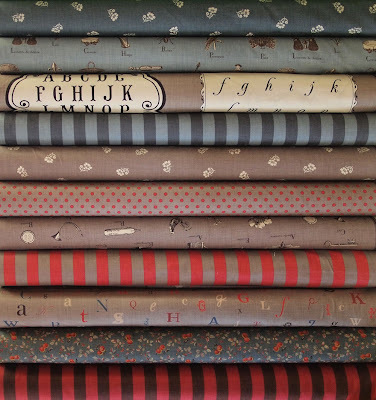 These fabrics are great for quilting or framing or anything else you may do with two pieces of 18.5" x 18.5 " fabric. This book literally changed my life. I walked into Fancy Tiger a couple of years ago and there it was on the front table. Until I read Jane Brocket's gentle words of encouragement and inspiration I never felt that I could do crafting of any kind. It may sound silly to you lifelong crafters, but I was tied down by chains of perfectionism and that nasty little "you can't do that" voice. 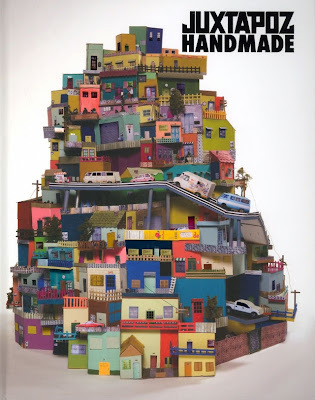 After reading this book I wanted to (and did) begin to make beautiful, hand-crafted items of my own and I'll never look back. I recommend this book to both new crafters or any kind and those of you who have been knitting/sewing/whatever for your entire life. It's well written and you'll want to look at the photos over and over again. Salutations! 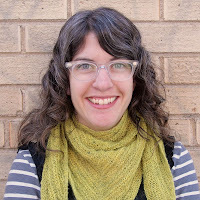 I'm Emily, and I teach advanced knitting and spinning here at Fancy Tiger Crafts. I love constantly pushing my skills, and am often caught crafting in public. Knitting is definitely my first craft, but I love spinning, sewing, quilting, crochet, naalbinding, leatherwork, metalwork, beadwork, and whatever else I can get my hands into! I have been watching so many beautiful Schoolhouse Tunics coming out of our Schoolhouse Tunic class! Great job, ladies! Now, I think it's time to make one of my own. I knew when I opened the shipment of these Memoire A Paris Japanese Lawns that at least one of them had to be mine. But which one? This pattern looks so great on every body I have seen them on, it would be a great gift for the lady sewist. 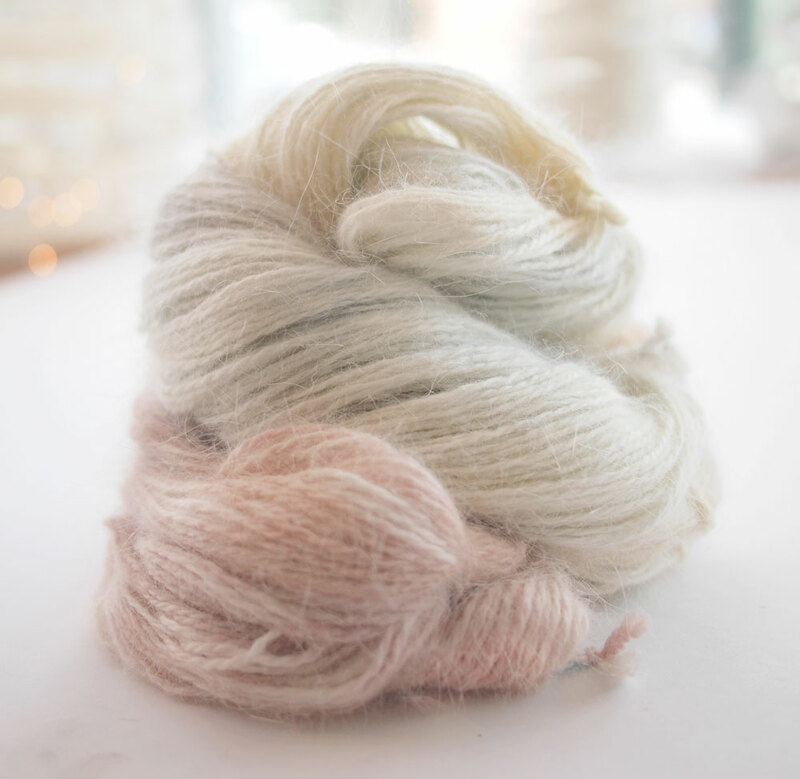 I don't know if you guys know just how much I love wool and silk. 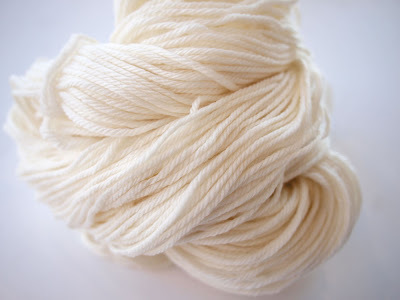 I love wool and silk! But with finer fabrics, finishing those edges can be tricky. 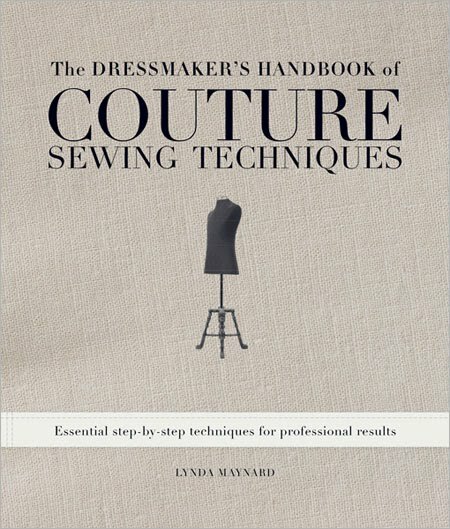 This book has so many tips for working with trickier fabrics, but can be used in almost any application. There are so many gorgeous techniques well photographed in this volume. 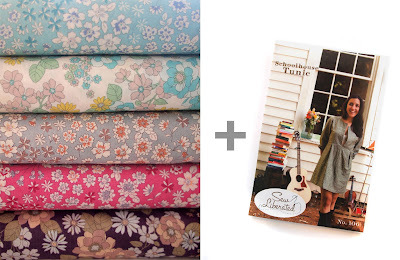 This would make a wonderful gift for a sewist ready to make their garments look amazing on the inside, too. Thanks Cat and Emily! Come back tomorrow for Betsy and Amber's holiday gift guide! Welcome to part two of our staff holiday gift picks. Today Dan and Jess are sharing their favorite things! I'm Dan, and I am fortunate enough to have the best job on Earth! 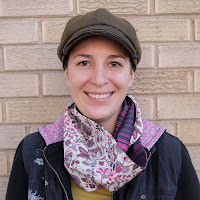 I am an avid knitter, beginner spinner, a scene-ster seam-ster, and a creative collaborator. I am always looking for ways to perfect my skills, share my knowledge, and empower others to make and do things on their own! Finally! 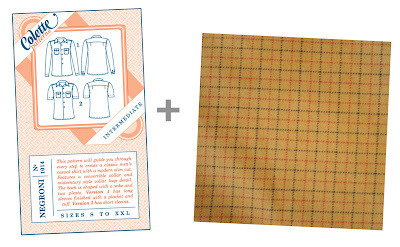 A men's shirt pattern by Colette! I have been waiting for the right shirt pattern to come along that has a modern fit and appearance, I will be making more than a few of these! 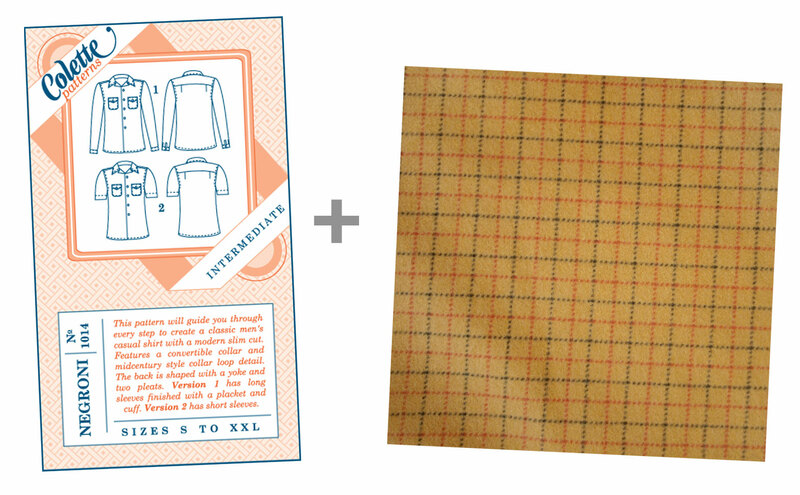 What could be more perfect for cold weather than a fashionable new shirt made out of our new Windham cotton flannel? This flannel is the right color, and is extremely soft. Being the avid knitter that I am, the Addi Turbo Click set would completely cease my need to buy new needles when I start new projects that require sizes that I don't already have. There is so much versatility with the Addi Turbo Click set any passionate knitter would be most thankful to receive this for a holiday gift. 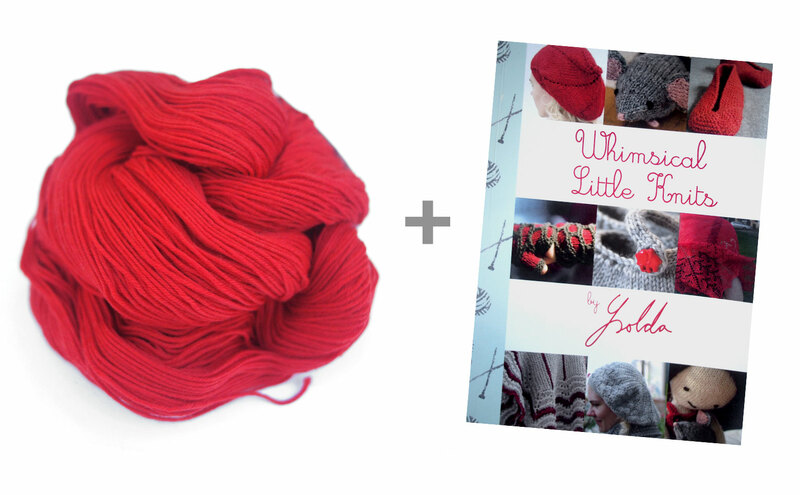 This is the ULTIMATE gift to give the knitters in your life! 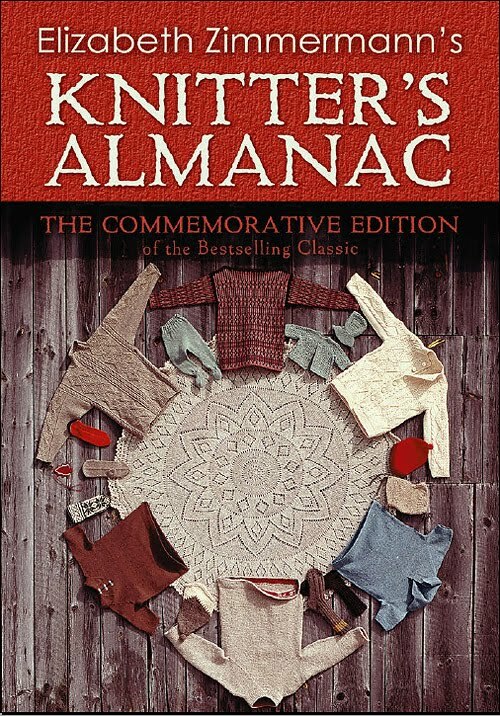 The Knitter's Almanac is my current favorite book in our store. 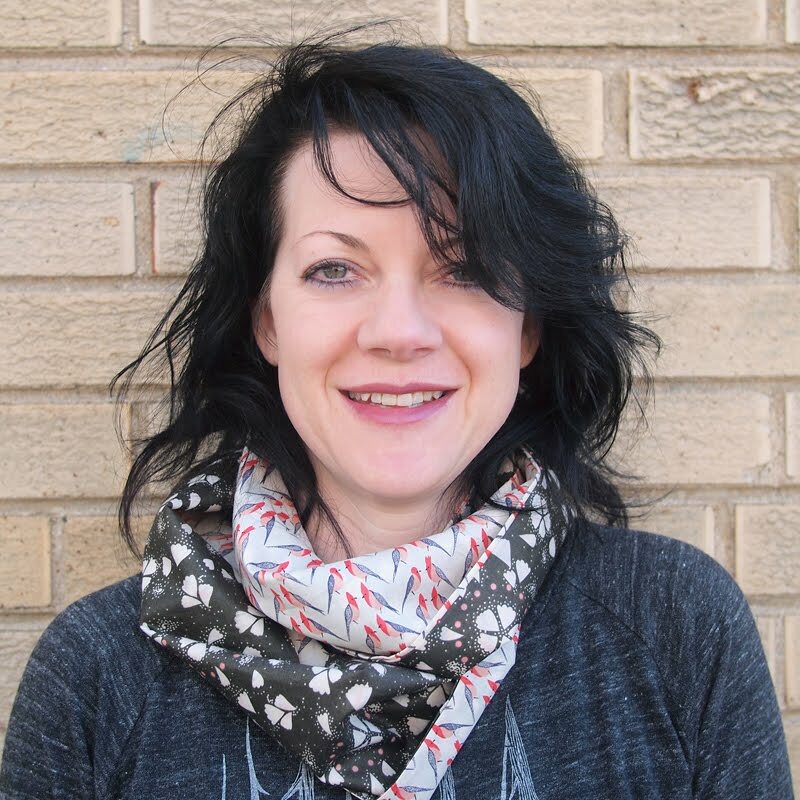 It's a classic, and is written whimsically by Elizabeth Zimmermann. There is endearing narrative amongst simple and fun-to-make patterns. 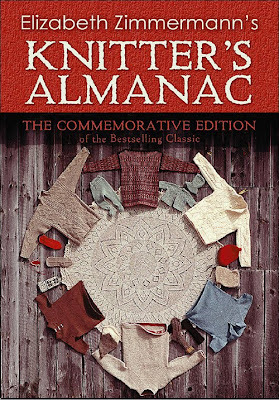 This is an almanac, with appropriate patterns for each month of the year. 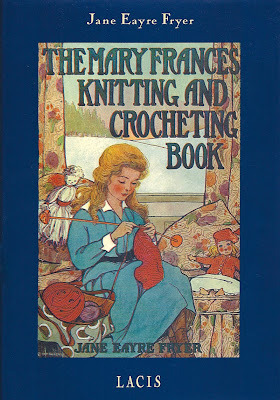 The book covers such a wide variety of patterns from socks, to mittens, hats, shawls, sweaters, baby accessories, holiday ornaments, and even a few sweater patterns. 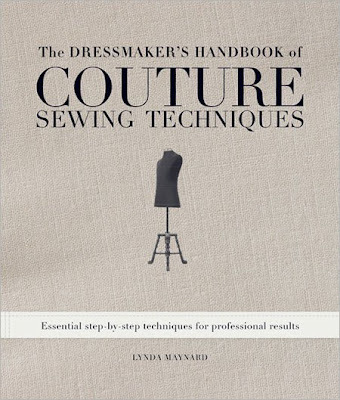 This book is an essential in a knitter's library. Hi! 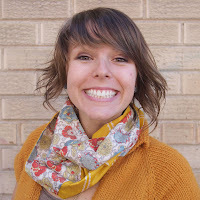 Its me, Jess! Yay!! 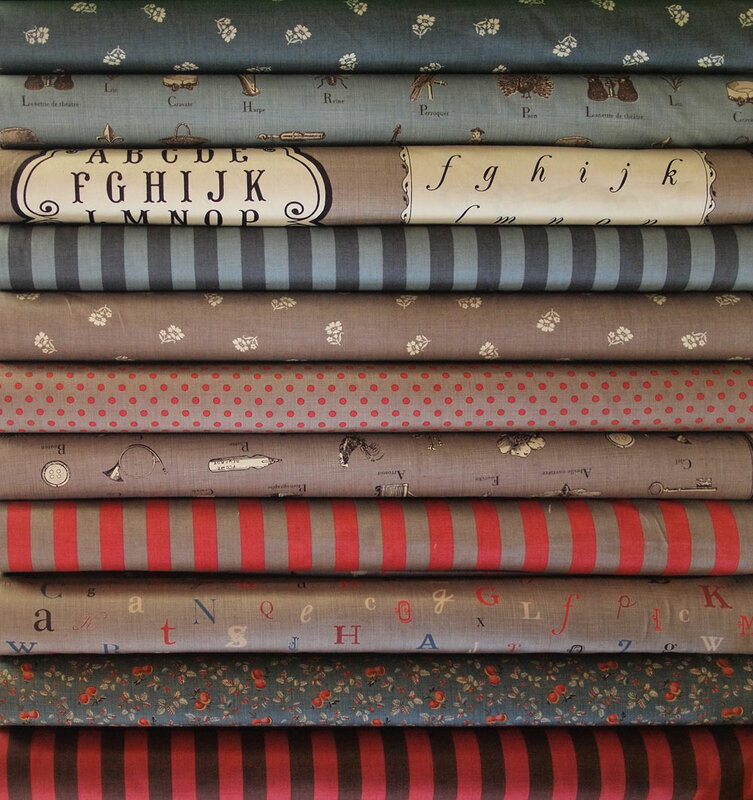 There are so many AMAZING things that come through Fancy Tiger, it was so hard to choose just a few! But at least you know they are way great, 'cause here they are! I just recently made my first quilt, and I made it out of a jelly roll, I love them! The new Tula Pink collection, Parisville, is perfect for a new throw. I want to snuggle up under this by the fire. If you haven't seen this collection yet- a woman has hair shaped like A SHIP... whoa, awesome. Thanks Dan and Jess! Join us tomorrow for Cat and Emily's picks of the season! 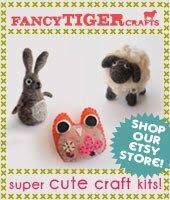 This week all of us at Fancy Tiger Crafts will be sharing our most favorite, most coveted items in the shop. 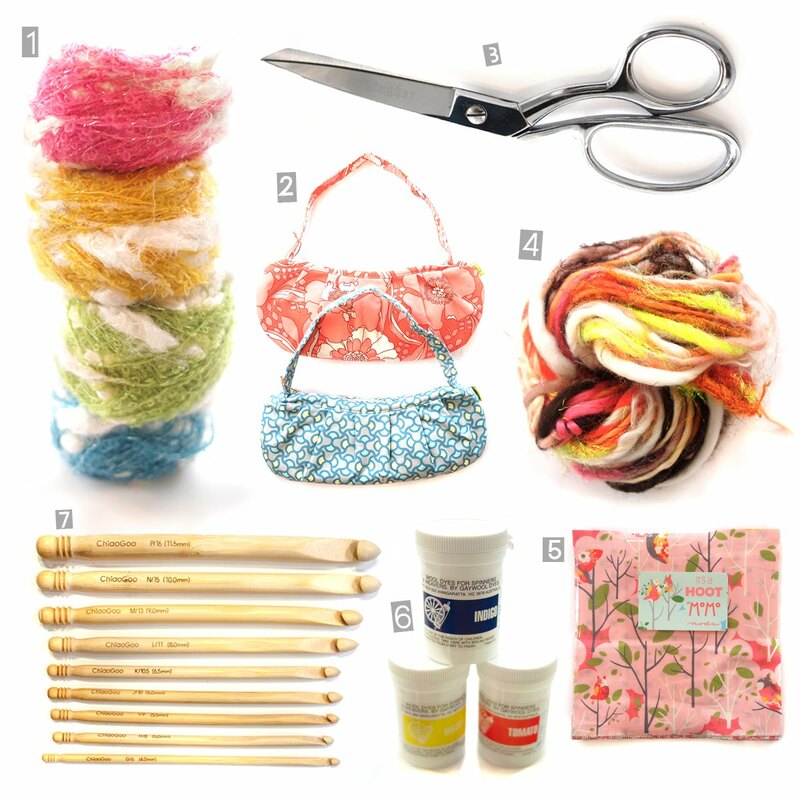 These are the things we might (winkwink) be hoping to find under our own tree, but would certainly make a great gift for your dearest crafty friend. Enjoy! 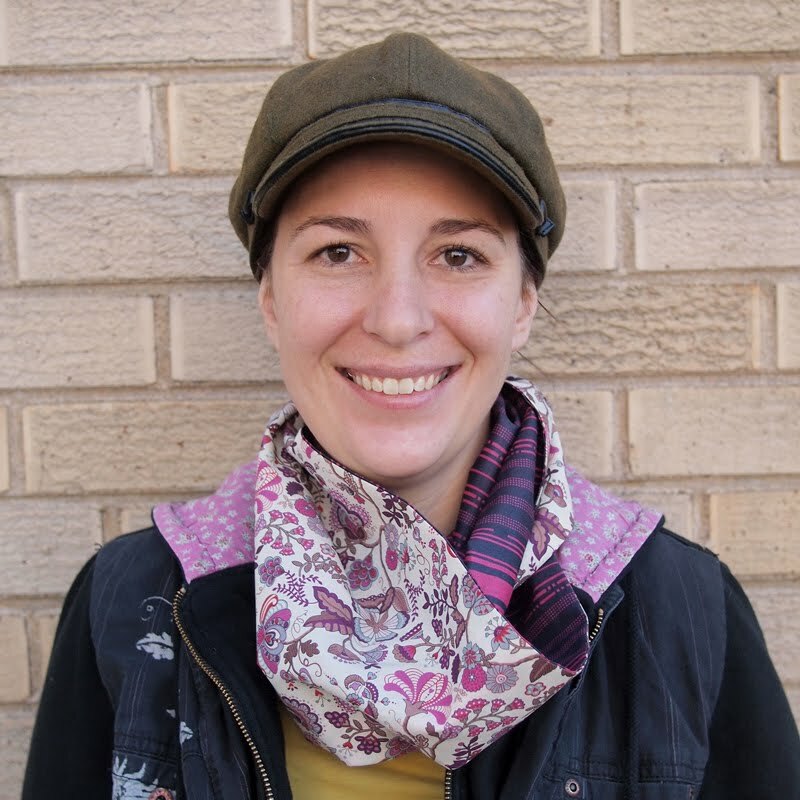 I'm Jaime, and I'm one of the owners of Fancy Tiger Crafts. Since I do the a lot of the ordering I pretty much love everything in the store, but here is what I think would make the most amazing gifts of all time! 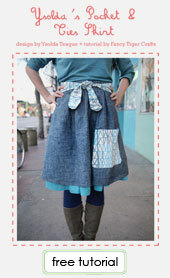 For sewing, I really want to make the Beignet skirt out of the Anna Maria Horner cotton velveteens. 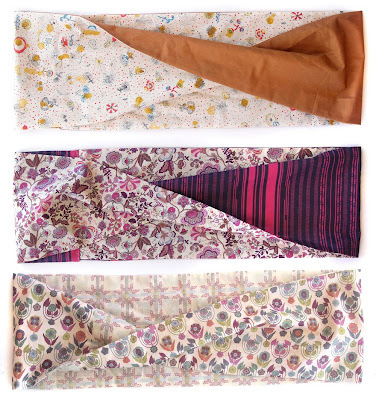 These rich, soft fabrics are so beautiful and I've been wanting to make a skirt out of them. I think the high-waisted pencil skirt would be perfect. 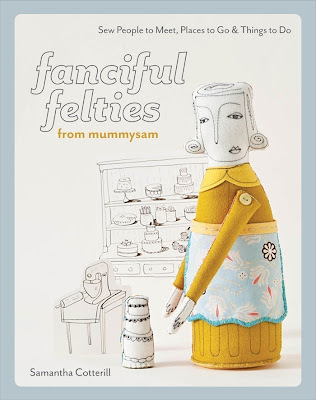 Fanciful Felties is a new book that has really been inspiring me lately to hand sew! I love the embroidery detail on the faces and you can see me stitching up these cuties at craft night. The Ladybug spinning wheel by local company, Schacht is also at the top of my list. 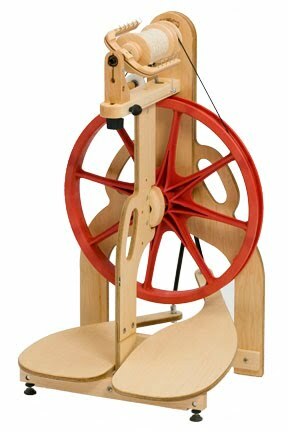 This adorable, well made, light-weight spinning wheel works like a dream. I'd love to get it with the bulky head option for spinning up lots of crazy art yarns. Hi, I'm Angelique... I'm one of the new faces at Fancy Tiger. 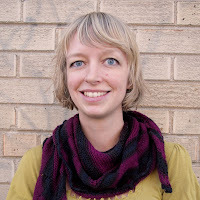 I only look scared in this photo, but I'm actually quite friendly. Come in and say, "hi." Over the years, I've spent a fair amount of time in the U.K. and one of my favorite places to visit is Liberty of London. 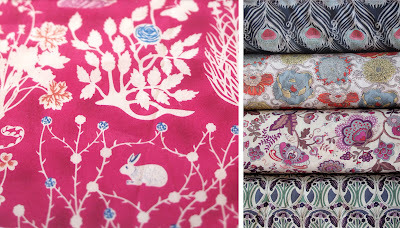 I was so excited when the Liberty fabrics arrived at Fancy Tiger... 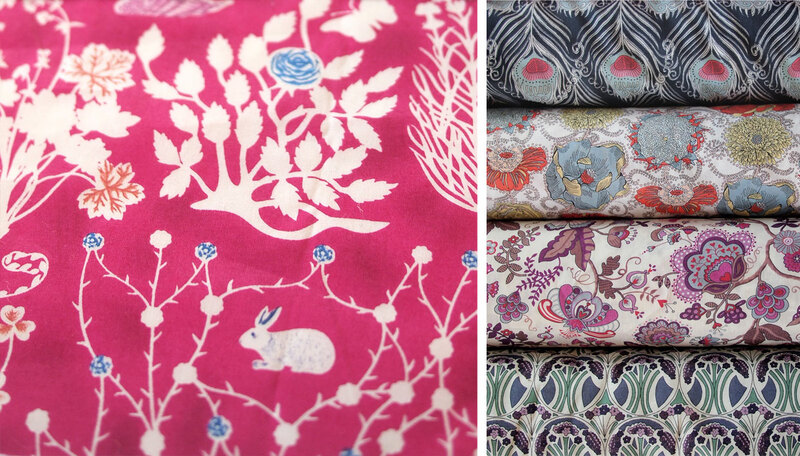 I dream of sewing a dressing gown, but picking the perfect fabric is so hard because they're all so gorgeous! 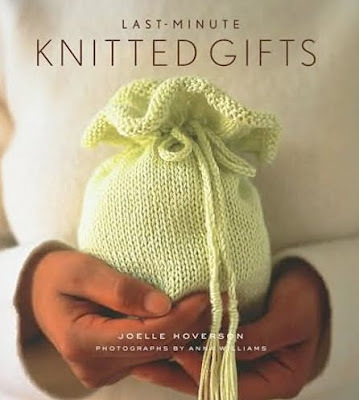 One of my all-time favorite knitting books is Last Minute Knitted Gifts. This is my go-to book for making quick (and not-so-quick) knitted presents for friends. I've made countless knitted gift bags as featured on the front cover of the book, but another favorite pattern is the Angora Baby Booties. 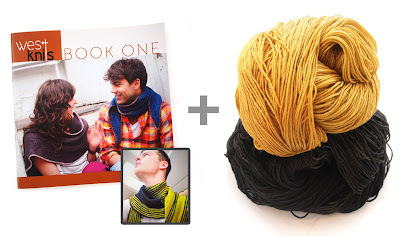 I'm knitting the Men's Cashmere Scarf in Malabrigo Rios as a gift for a friend this holiday season. Thanks, Jaime and Angelique! Check back tomorrow for Dan and Jess's favorite picks! 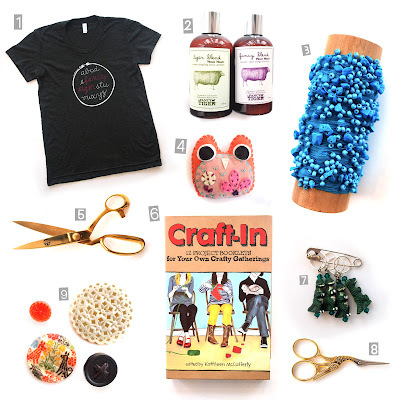 Today we are featuring some of our favorite gifts for under $50 - special treats for a special crafty someone. Check back next week for our staff picks and find out what we are really coveting this holiday season! We have so much amazing stuff in the shop right now--we thought we'd help you out with several holiday gift guides. Stay tuned for gift guides with ideas for everyone on your list arranged by price as well as picks from all of our staff. Today we are featuring our favorite items for under $25 - what a bargain! Tomorrow we will share our favorite gifts under $50! 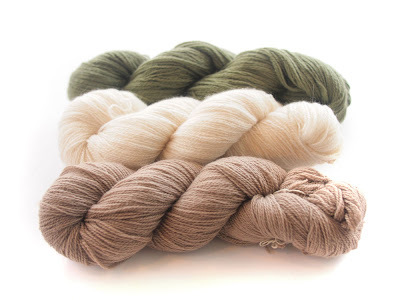 This gorgeous new yarn from Malabrigo, purveyor of super-soft merino wool, is a washable worsted weight yarn. It's available in many-a-magical-kettle-dyed color. Holiday Handmade was so much fun! 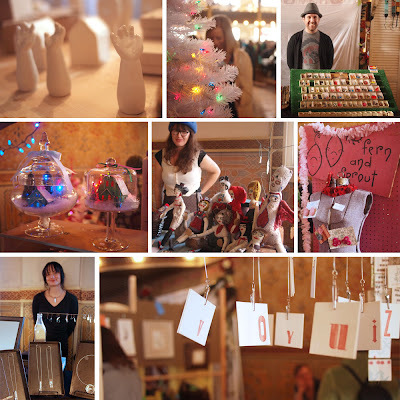 Holiday Handmade was tons of fun this past weekend! Thanks to everyone who came out to do their holiday shopping and support local handcrafters. We are so thankful to the volunteers that helped us put on this amazing show, and the vendors for being such awesome, crafty folks! 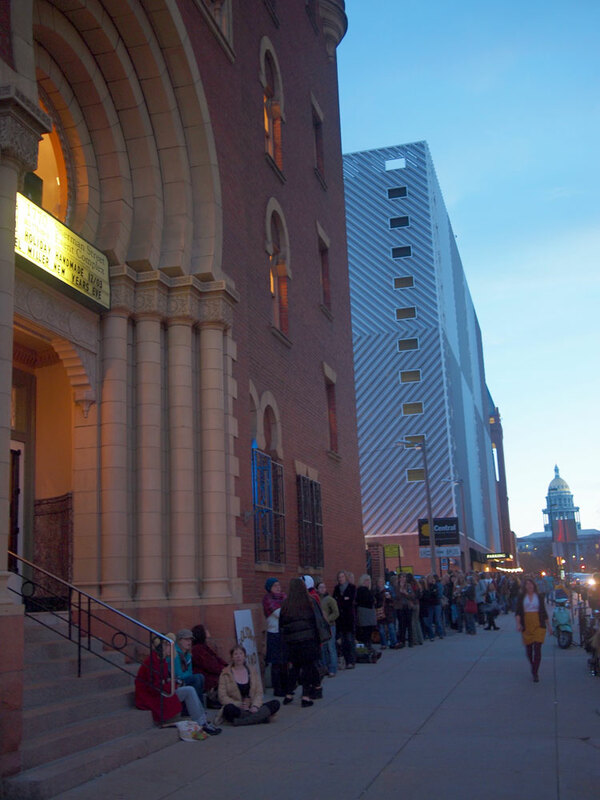 We are proud to be a part of such a crafty culture here in Denver. This year's Holiday Handmade was filled with irresistible goodies of all kinds. The Denver Handmade Alliance provided 100 totally sweet swag bags again this year filled with handmade goodies from local crafters. The first 50 folks through the door each day received one and by the time we opened the doors there were close to 300 people in line! We wished we had a prize for everyone who braved the chilly weather. Some folks came prepared for waiting for their tote. 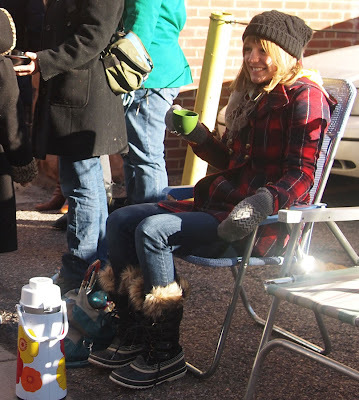 Here is a tip for next year--lawn chairs and hot tea! 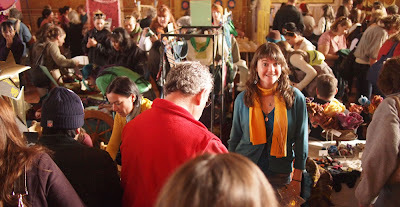 It was nice and cozy inside the craft fair with over 4500 holiday shoppers over the course of two days. If you missed the show or forgot to pick something up while you were there be sure to check out our Holiday Handmade 2010 vendor list online. 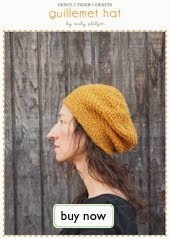 Mark your calendar for Holiday Handmade 2011--Friday, December 2nd and Saturday, December 3rd!